See our contact information hereunder. For any questions whether that is product related, transportation and delivery or special requirements, we will answer all your questions. Airstream Gourmet’s success is built upon an unyielding commitment to quality coupled with an unbeatable, repeatable process. 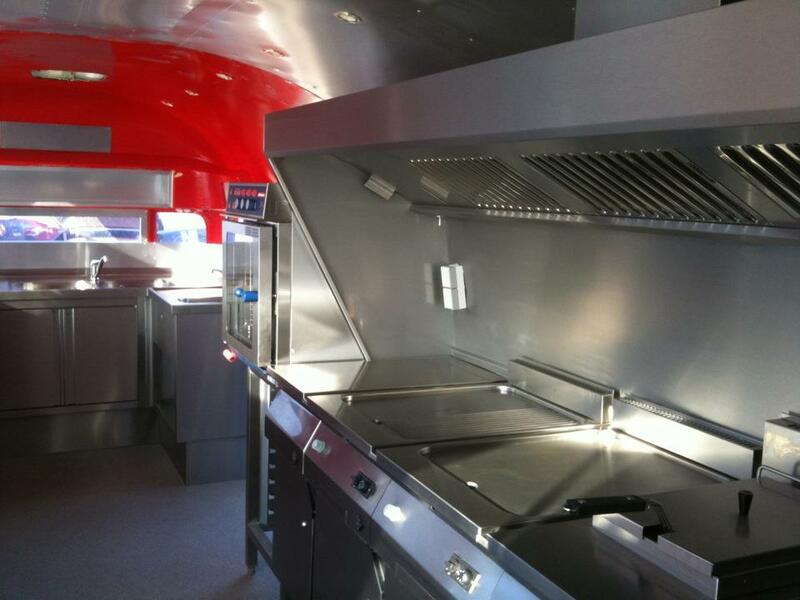 The Franchise would include the use of the brand Airstream Gourmet, the Airstream Gourmet logo and of course the Airstream Trailer fully equipped and specific catering products. Airstream Gourmet strongly recommends the Airstream trailers to be towed by a Porsche Cayenne as the round curves of the Airstream and the Cayenne match very well together. Airstream Gourmet strongly recommends to make the Porsche Cayenne Diesel to be a part of the franchising package. This combination works for any road show or promotion of your clients products. The Porsche Cayenne can tow up to 3500 kgs without any problem. Individuals typically need a minimum of Euro 50,000 in non-borrowed personal resources to qualify for financing thru third-party lending sources, Airstream Gourmet does not provide financing but can mediate to obtain financing. The total cost of each unit varies by size and location. Royalty and continuing services fees are 6% of gross sales. Advertising fees are 4.5%. Q: How can I open a Airstream Gourmet franchise? A:Airstream Gourmet’s actively seeks highly qualified individuals to become franchisees. Prior business experience, coupled with personal financial qualifications, individual motivation and a track record of success are important factors in our evaluation process. If you are interested in pursuing single or area development opportunities as an Airstream Gourmet’s franchisee, please read the information below and be sure to complete the following brief questionnaire. Q: What is the typical size of an Airstream Gourmet’s location? A: The average size of a location is approximately 25 to 40 square meters. Q: What kinds of training can I expect as a franchisee? A: All new franchisees participate in an intense 18-day training. Q: How is food quality and consistency maintained? A: All proprietary and contracted food products‚ with the exception of produce‚ are delivered by a national distributor to all stores on a weekly basis. Our vegetables are purchased from local sources and are delivered to your store fresh daily. To immediately receive more information from Airstream Gourmet, simply fill out the short form below and contact information will be emailed to you. Fill out the form below and any questions you may have on financing, training, support, available locations, and more will be answered by the most qualified representative from Jimmy John's Gourmet Sandwiches.